Experience the glory of twilight dancing in serene, sheltered harbors as you paddle into the sunset! Take in the serenity of Johns Bay as the sky transitions from day to evening – a time when the seas are at their calmest and the shorebirds return to roost. An experience like no other – the ocean at sunset. 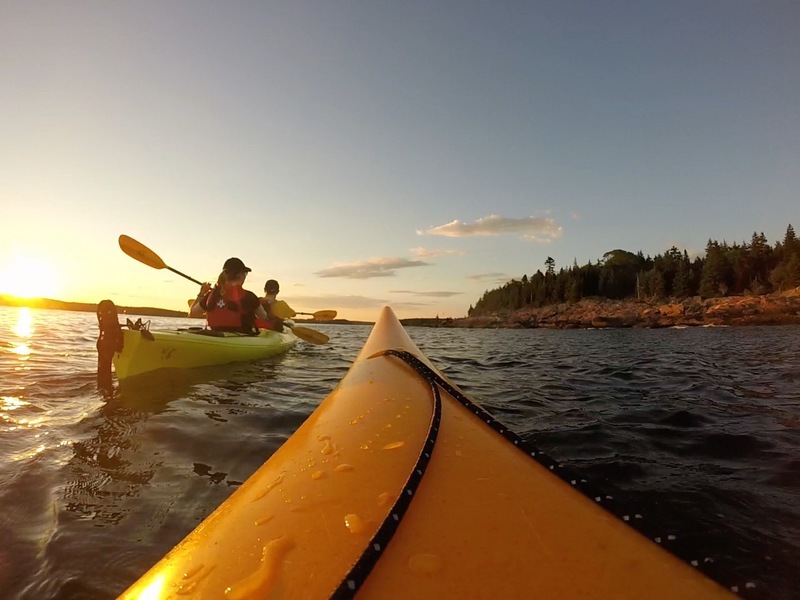 Our sunset paddle provides individuals with the opportunity to enjoy a calm evening on the water, taking in the wondrous colors of the sky reflected in the ocean as the sun sets in the harbor. Quiet reflections of osprey and eagle enjoying an evening meal amongst frolicking seals. Perfect for families and groups looking for a quiet and inspirational trip to cap a day of exploring Pemaquid Point. Requirements: Minimum of 4 or more people to start a trip or you can join an existing scheduled group.